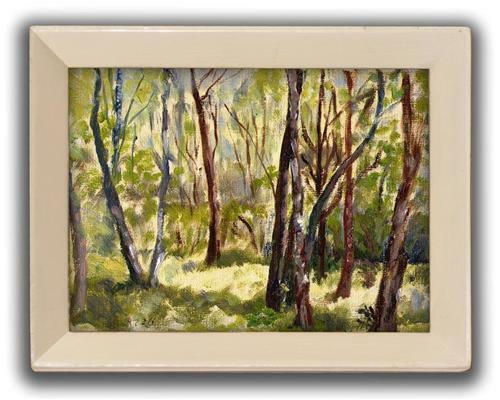 This is an original painting entitled 'Birchwoods, Clandon' by Gwladys Burton dated 1952. Interestingly the artist has dedicated the painting on the reverse to 'Reggie' (believed to be husband). Individual works by Gwladys have sold for well over £300.